You are here: Home / Mental/Emotional Health / Are Certain mental disorders linked to creative genius? How does our emotional and mental health relate to being creative? How valid is the mythology of the “crazy artist”? 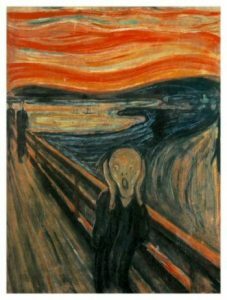 Many prominent artists throughout history have had mental health issues, and many are cited as some kind of “proof” that those issues somehow inspire creativity. In his paper The Abnormal Psychology of Creativity, Steven James Bartlett writes…. From post: Creativity and madness: The Abnormal Psychology of Creativity. 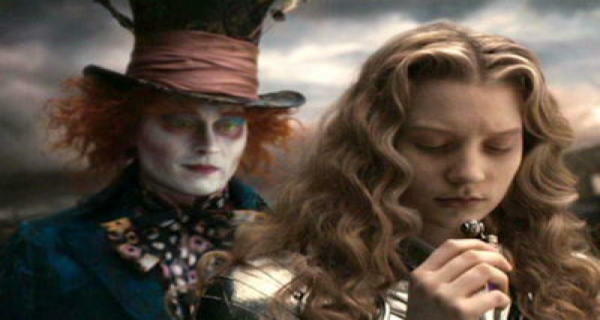 Photo at top: The Mad Hatter (Johnny Depp) and Alice Kingsley (Mia Wasikowska) in Tim Burton’s 2010 movie version of Alice In Wonderland. Saying ‘the best people are bonkers’ may be a charming and even reassuring sentiment – but, of course, actual mental illness can disrupt lives and interfere with creativity. “A study confirms that certain mental disorders are linked to creative genius. How My Mental Illness Gave Me a Career – Key article by HuffPost blogger and guest for this segment, Michael Kimber. Judith Schlesinger, PhD notes the widely-circulated Swedish study [by researcher Simon Kyaga, a Karolinska Institutet doctoral student] mentioned in the video has significant issues in terms of scientific validity. She is author of the book The Insanity Hoax: Exposing the Myth of the Mad Genius. Read more quotes of hers in my post Madness and creativity: do we need to be crazy? Dr. Cheryl Arutt (Los Angeles, CA) Clinical Psychologist Specializing in Creative Artist Issues, & Media Consultant. She is a frequent guest on CNN, HLN and other networks. See her TEDx video Exploring Self-Regulation, Trauma and Creativity in the post: Creating is a way to channel our emotional intensity. Also hear part of our audio interview in the post Creative People and Mental Health. Dr. Arutt refers to her TEDx video – “That Good Feeling of Control” – and notes the title comes from TV host Fred Rogers who wanted to teach kids how to deal with the “mad” they felt inside, and be able to decide what to do with these kinds of strong feelings, and that what he was talking about was self-regulation and affect regulation that can help us as adults, too. Also see article: Madness and creativity: do we need to be crazy? See more posts on this site on Mental Wellness. Related TalentDevelop site posts on Mental Health. From article: The Mental Wellness Summit 2017.